Sunshine Sailing Australia’s Fastrack offers a reliable route to the RYA/MCA Yachtmaster Coastal or Offshore. This certificate is valid for use as Master of yachts of up to 200GT on commercial and privately registered yachts, a benchmark for commercial skippers and essential for professional yachting. Whether you are an experienced sailor or a complete beginner, planning a career in sailing or achieving a personal goal, this is the course for you. We have designed 3 Fastrack options of different lengths, programs and costs to try and meet the many different needs of the future Yachtmaster of today. You will find that each Fastrack program has a special feature that brings an air of excitement and adventure! Something you will not forget! Combined within our Fastrack courses are either racing or bluewater cruising; come racing with us on either the Brisbane to Gladstone or Hamilton Island Yacht Races or join us on our Bluewater cruise to Lord Howe Island in the South Pacific!! Our sailing areas of Moreton Bay and the Sunshine Coast, Fraser Island and the Great Sandy Straits plus the Whitsunday Islands of the Great Barrier Reef is an excellent base for Yachtmaster training thanks to ideal conditions; perfect winds, warm tidal waters, busy shipping lanes and a wide variety of interesting sailing passages to exotic destinations makes this some of the best sailing grounds in the world! Your Fastrack course will be on board our spacious and luxurious Hanse 400e, in full AMSA 2B survey allowing us to go up to 200nm from the coast! Only five students are enrolled on each course and all courses are run by an experienced and fully qualified RYA approved instructor to ensure the highest level of instruction is available to each individual. This Yachtmaster Fast Track is for the beginner who wants to achieve the level of RYA Yachtmaster Offshore. It begins on the 30th of August 2019 and finishes with the Yachtmaster examination on the 30th of November 2019. Participants will complete the course in a variety of stunning locations including the Whitsundays, Hamilton Island, the east coast of Australia and around Mooloolaba, Moreton Bay and the Gold Coast. In addition, we want you to be capable of maintaining a yacht. Training is continuous throughout the course and covers all the boat systems both mechanical and electronic. 1} Jan through April including Brisbane to Gladstone Race. 2} June through Aug including Hamilton Island Race. 3} September through includes November Lord Howe Island. Please note a minimum 25% deposit is required at the time of booking and the balance to be paid prior to the course commencing. The following are examples of what your Fastrack program might look like, please contact us directly to put a program together that suits your timing, needs and experience. Please enquire if you would like to achieve the Yachtmaster Coastal or Offshore qualification over a longer period or on different dates and we will construct a schedule that meets your needs and takes in to account your existing experience. There are no pre-requisites for this Yachtmaster Fast Track. The course is applicable to anyone from complete beginners to experienced sailors looking to build their skills from the ground up. Recently I had the pleasure of completing my RYA training with the Sunshine Sailing Australia (SSA). 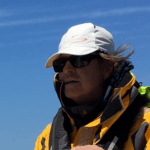 John Bankart, the proprietor of SSA… proved to be everything that I expected from a professional instructor whose skills were up to the high standards of RYA…I readily recommend Sunshine Sailing Australia to people seeking a highly qualified and professional sail training establishment. The Fastrack course was fantastic, not only did we learn so much, but most importantly it was absolute fun! The way the program was put together from start to finish was perfect. Thanks again for all your help along the way.